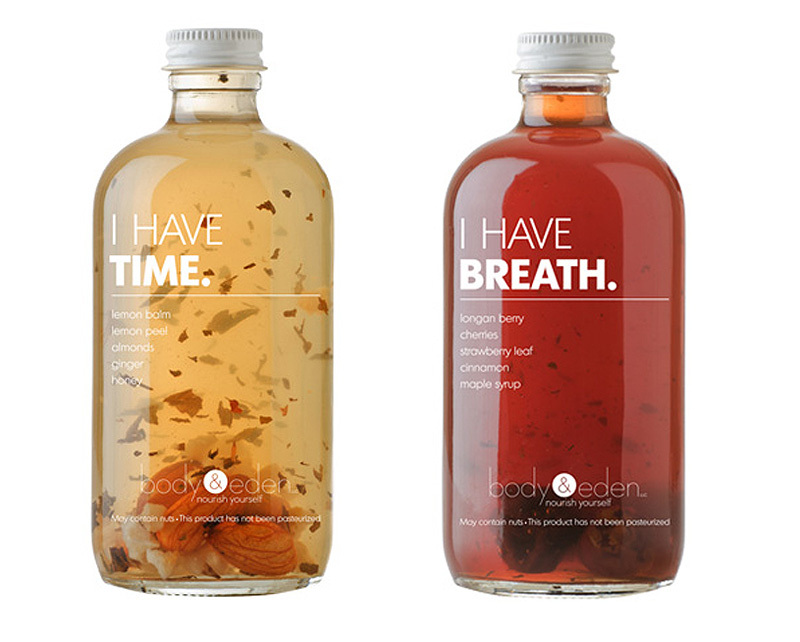 If It's Hip, It's Here (Archives): Body & Eden's Beautifully Bottled Elixirs and Tonics. 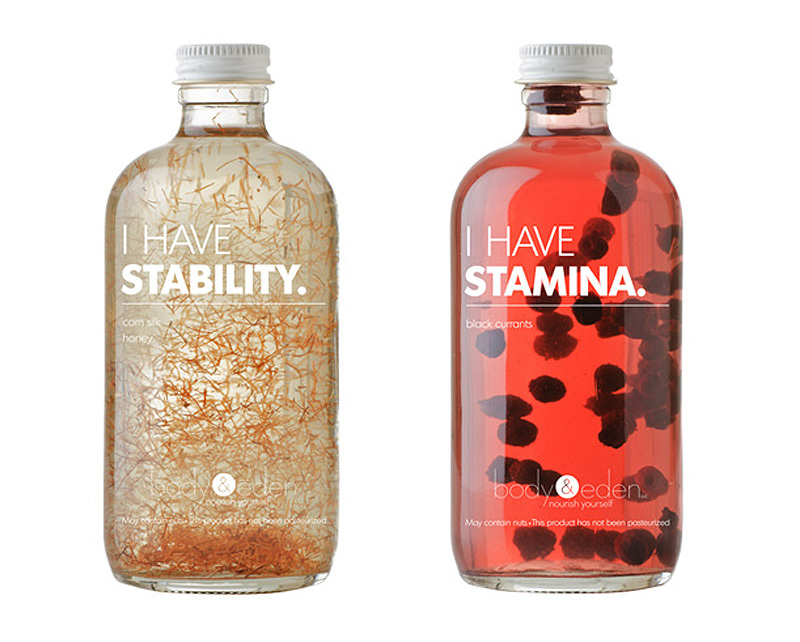 Body & Eden's Beautifully Bottled Elixirs and Tonics. 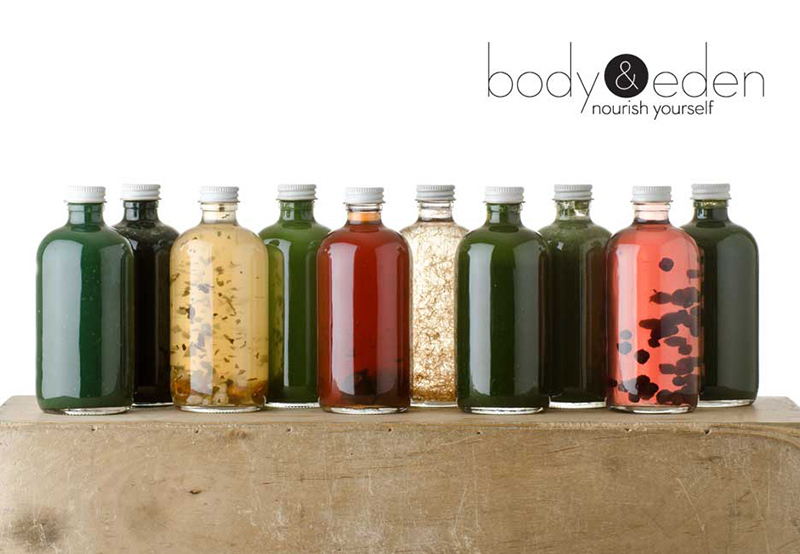 Body & Eden of Los Angeles and New York offers seasonal fruit and vegetable superfood tonics and herbal elixirs that densely pack nutrients, vitamins, and herbs needed to support and stabilize the body so that it can do what it does best, better. The exclusive elixir line below was made for their partners, The Cove Atlantis and One&Only Ocean Club. located on Paradise Island in The Bahamas. Twice a week, Aubrey Levitt and Hillary Deppeler, founders of Body & Eden pick out the most vibrant, alive-looking organic fruits and veggies from their local farmers, then bring them back to their kitchen so they can wash, cut, and prep them to fill your order. 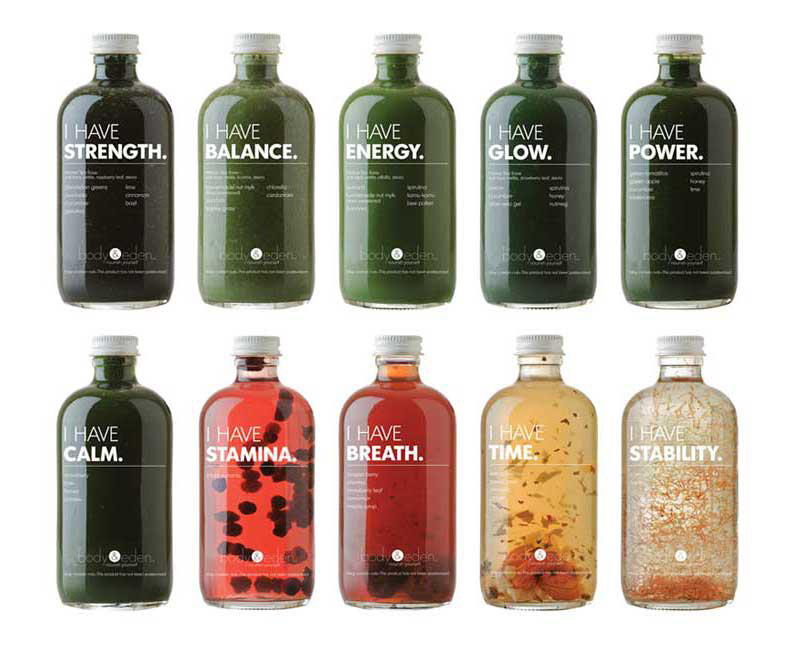 They combine whole fruits and veggies, nourishing, high-nutrient green superfoods such as spirulina, chlorella, and barley, and stabilizing herbal infusions to give their tonics the highest possible nutritional content. They work closely with a hands-on herbalist to create safe, balanced herbal combinations that support your body so it can function more optimally*. 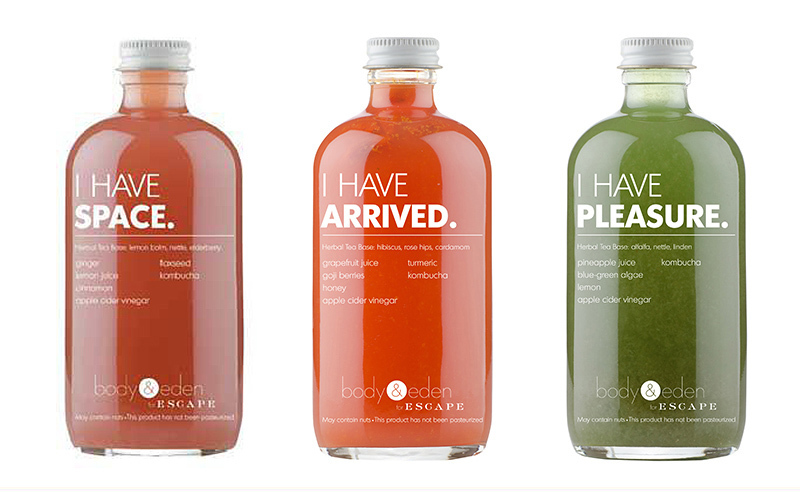 The drinks are packaged in glass bottles that can be returned on-site for 10% off your next order. 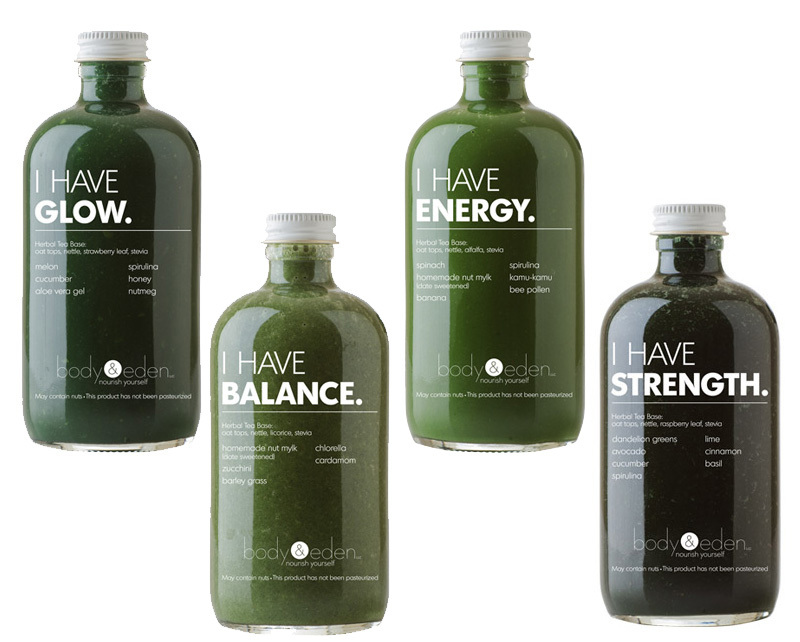 Body & Eden uses Pristine Hydro reverse osmosis, a 7-stage filter, to ensure the best possible base for our products. To find out more about the filtration process, visit www.pristinehydro.com. * This information is not intended to diagnose, treat, cure, or prevent any disease and has not been evaluated by the Food and Drug Administration. I remember my mother handing me an ice cream bar when I was eight and saying, “Here, your reward.” I took one bite and spit it on the floor of the chalky vitamin store. "What? It's Rice Dream, you don't like it?" Health and its latest fads have always played a big role in my life. When I was a kid, I suffered from constant illness, anxiety, and fear. I went to the hospital every week for high fevers and ate mostly antibiotics. Over time, I stopped trusting my body and started to ignore it. This worked for a while. And then it didn’t. I suffered from extreme bouts of hypoglycemia, hormonal imbalances, and every digestion issue under the sun. I thought this was normal until my sister told me it wasn’t. Determined to rebuild my body, I saw several conventional and alternative practitioners, devoured books, and asked loads of questions. 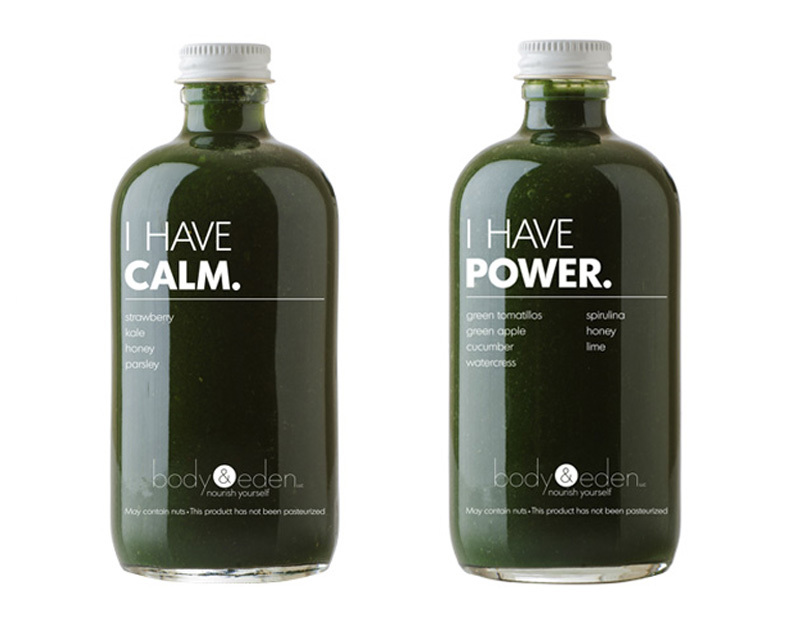 I learned how to cleanse, slow down, and feel my body. But I couldn’t do that forever. I had regained my health, but then I had to learn how to nourish myself so I could return to the stressful world I had known and sustain it. Training as a ballerina since the age of two gave me a strong focus on my physique and put my body image high on my radar. Born loving sweets, I relied on sugar for energy and compromised by eating tons of greens and salads to stay thin. Unfortunately, what got the job done in the short term left me unhealthy in the long run and depleted of energy and essential nutrients for a vibrant, full life. Working in the fast-paced Manhattan media world and having to attend numerous client events, dinners, and lunches put me on the quest to find out what would sustain my energy, help me manage the hours and stress, and still enjoy all the delicious culinary treats New York has to offer. The solution wasn’t cutting out what I love or risking my job, but developing a healthy, nourishing base that enabled my body to function better throughout my daily life.